Pressroom ADTEL completes the deployment of the AirVoice Icaria system in the beach of Barcelona. 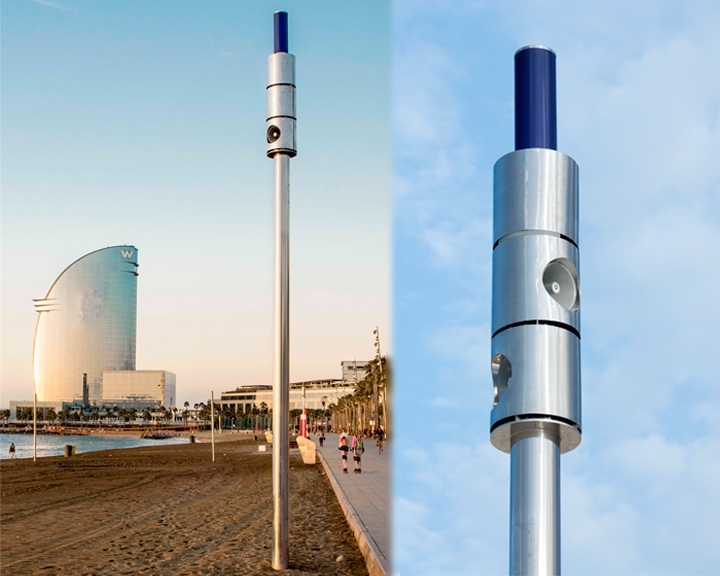 ADTEL completes the deployment of the AirVoice Icaria system in the beach of Barcelona. ADTEL completes the deployment of AirVoice Icaria system in the beach of Barcelona. The beach of Barcelona is a fully urban infrastructure of more than 5 Km with a high degree of acceptance among both local and tourist population. The beach has all kinds of services for the population. Moreover, ADTEL has provided the information and emergencies services through a public address system (PA). Each column includes an IP communication system with public address, free Wi-Fi for the population, atmospheric sensors and courtesy lighting. The whole project consist of a total of 35 points connected by fiber optic technology. It is framed in the Smart City deployment project of the city council of Barcelona. The mechanical design of each column has been realized respecting the beach enviorement and thinking on the characteristic image of the city of Barcelona.